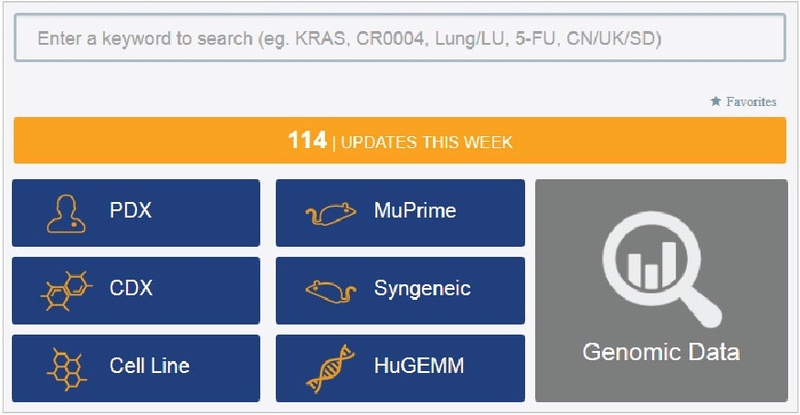 Want to Choose from All CrownBio Oncology Platforms in Just One Search? At CrownBio we understand that one model does not fit all research needs, and that multiple platforms and models are needed for integrated preclinical drug discovery. To enable clients to rapidly search for models of interest across multiple CrownBio platforms, we launched OncoExpress, our powerful one stop search engine to instantly access our global suite of oncology models. 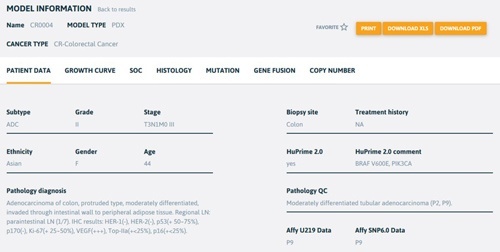 OncoExpress allows model browsing similar to our databases, and powerful yet simple searching using Boolean operators and wildcards. Keyword searching can be performed by cancer type, gene name, or direct searches can be made via standard of care treatment data. Searches can be made across all model types, or more focused on specific platforms as clients require. 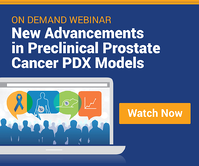 While in depth model data is stored in our respective databases, OncoExpress still provides all model phenotypic and genotypic data, patient information, and the growth curves required to help you choose the models you need. Clients can also use OncoExpress to manage their portfolio of model interests.